Train your billiard skills and play against the computer or your friend in this 8-ball Pool sports game! Select a difficulty that matches your abilities and start pocketing the balls. The higher the difficulty, the higher the bonus points you receive when you win a match. Aim carefully and use the zoom to adjust the spin of the cue ball. Drag the billiard cue to control the power and try to earn as many points as possible! Welcome to our famobilicious HTML 5 cross-device game catalog. Here you can find more than 300 non-exclusive and exclusive licensed HTML5 games, reviewed, categorized and hand-picked for every taste. Feel free to browse through our games created by developers from all around the world. 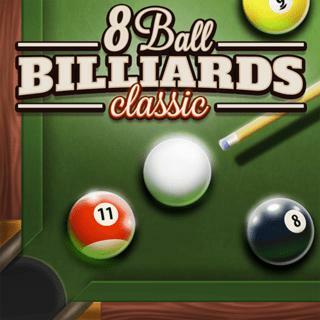 If you like 8 Ball Billiards Classic games, you should check out the other games from our famobilicious game catalog. Do you need help? Why don't you check out our Help & Support category and see if your questions and problems can be solved.